Find your bearings. The transparent map case protects your maps from moisture, mud, dirt and UV-light. 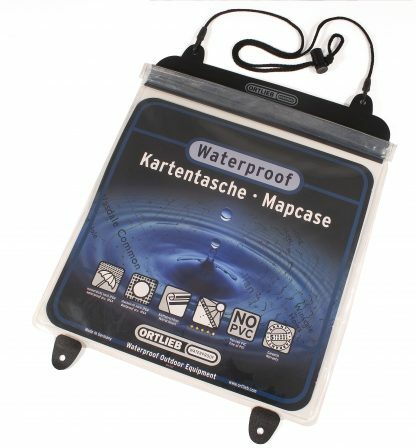 Ideal for hiking, paragliding, canoeing or biking – your map is kept dry and readable from both sides. It may be carried around your neck or secured to your rucsac. Available in two sizes (L and XL).